SACRAMENTO – Today, California State Senate Republicans unanimously elected Senator Shannon Grove (R-Bakersfield) to succeed Senate Republican Leader Patricia Bates (R-Laguna Niguel) as the next Senate Republican Leader. Leader Bates will continue to work with Leader-elect Grove as an engaged member of the Senate Republican Caucus for a smooth transition and will continue to stay on in a leadership post with the Caucus. “I am humbled by the support of my Senate Republican colleagues and value the trust they have in me to lead the Republican Caucus,” said Leader-elect Grove. “Senator Bates has been a wonderful leader and I look forward to her counsel as we begin the leadership transition. Leader Bates succeeded Senator Jean Fuller in April 2017, as the second woman in the history of the state Senate to serve in the top leadership post of a party caucus – Democrat or Republican. She represents South Orange and North San Diego counties in the Senate. She grew up in Long Beach and began her professional career as a Los Angeles County social worker. She was the driving force behind Laguna Niguel’s campaign for cityhood and became its first mayor upon the city’s incorporation in 1989. She served four terms as mayor. Voters elected her to the California State Assembly in 1998, the Orange County Board of Supervisors in 2006, and the California State Senate in 2014. 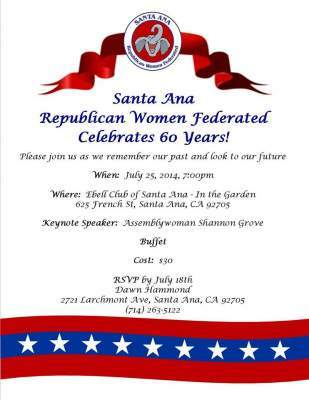 Elected to the Assembly in 2010, Senator Shannon Grove was the first female veteran to serve in the California Legislature and will be the third woman to lead the Senate Republican Caucus. She served in the Assembly from 2010 to 2016 where she earned a reputation as an effective leader and strong advocate for her constituents. Sworn into the Senate in December 2018, she brings insight as a female business owner, community advocate, and Army veteran. Grove, who represents all of Tulare and Kern counties, and portions of San Bernardino County, will serve as Senate Republican Leader starting March 1st.